Though the marketing opines that Lawson HCM and payroll software can handle the needs of virtually any industry, the fact is that – as previously mentioned – the company makes a virtue out of catering to very specific vertical markets and offering highly-tailored HCM systems to the following industries: aerospace, high-tech, pharmaceuticals, automotive suppliers, retail, manufacturing and financial services. The other factor is company size, and Infor Lawson is well suited to mid-market clients with 1,000 or more staff (a similar focus to parent company, Infor). Marquee customers include Olympus, Woolrich, MedStar Health, OEM, Pilot Travel Centers and Cummins. Your company falls into one of Lawson's supported vertical markets. Your payroll software requirements are focused on North America or Canada. 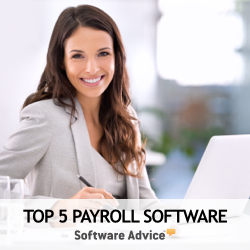 You need payroll software that is integrated into a broader suite of end-to-end HR and HCM applications. You use one of the Infor Enterprise Resource Planning systems. Your company needs fully-integrated global payroll capabilities. You seek strong talent management software. You are looking for best-in-class advanced business analytics. You desire a SaaS payroll and HCM solution. In the enterprise software space, Lawson directly competes with Ceridian, Oracle, SAP, Workday, Ultimate Software, and to a lesser extent Microsoft. However, Oracle, SAP, and Workday outperform Lawson in capabilities such as global reach, business process automation, business intelligence and support for cloud computing. The Infor Lawson key differentiation points include vertically-focused solutions and the fact that, in a market of fragmented software, the company can provide a single-source for true end-to-end human capital management with fully-integrated payroll. Lawson created a reputation as a credible and viable alternative to the Oracle and SAP hegemony. Then came the apparently deliberate and strategic refusal to quickly embrace disruptive technologies such as the cloud, Software as a Service, the consumerization of IT, business analytics, talent management and social business. While Oracle, SAP and Workday capitalized on emerging technologies and embraced discovering the next big thing, Lawson became less relevant and lacked an innovation agenda that resonated with the market, creating the impression of a business software vendor out of touch with customer needs. Add to this the concerns raised by the Infor acquisition and the industry became unclear on what could be expected from Lawson in the future. In truth, the reality may be quite different. With parent company Infor’s ION integration offering, a push to deliver new user experience interfaces across its software portfolio and a much broader technology strategy, Lawson may regain some lost footing. In a sense, the company’s biggest challenge may be the public relations and market messaging needed to bring these new initiatives to a much more competitive market. Existing and potential customers need to receive the message that Lawson is alive and well, and poised to deliver innovation that matters. If this is achieved, then when combined with impressive industry-specific HR and payroll software solutions, Lawson could be back in contention against Oracle and SAP, and newcomer Workday.